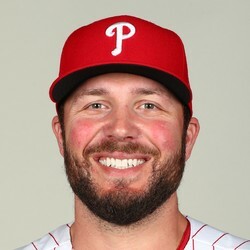 Tommy Hunter recorded the last six outs in the Phillies' 8-6 win over the Nationals, earning his third save of the season. Of his 19 pitches, 15 of them were for strikes. Hunter has appeared in three of the last four games and 54 for the season. In 52 1/3 innings, he's struck out 42 and walked 11. Keeping the ball in the park, Hunter has surrendered only five home runs this season.